FLEXIBLE MOISTURE BARRIER MORTAR DESIGNED TO BRIDGE SMALL CRACKS TO 1/16. 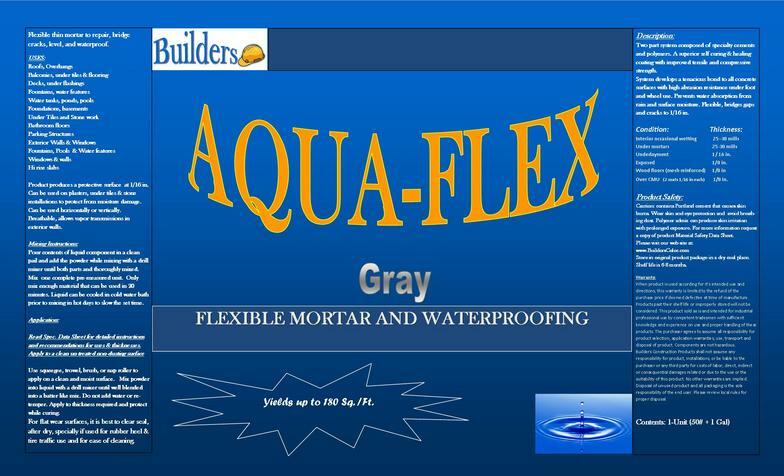 PONDS, UNDER TILES, ROOFS, POOLS AND ANYWHERE A MOISTURE RESISTANT AND FLEXIBLE COATING IS INDICATED TO PREVENT WATER DAMAGE DUE TO MOISTURE MIGRATION AND CRACKING. PRODUCT WILL ADHERE TO MOST SURFACES.